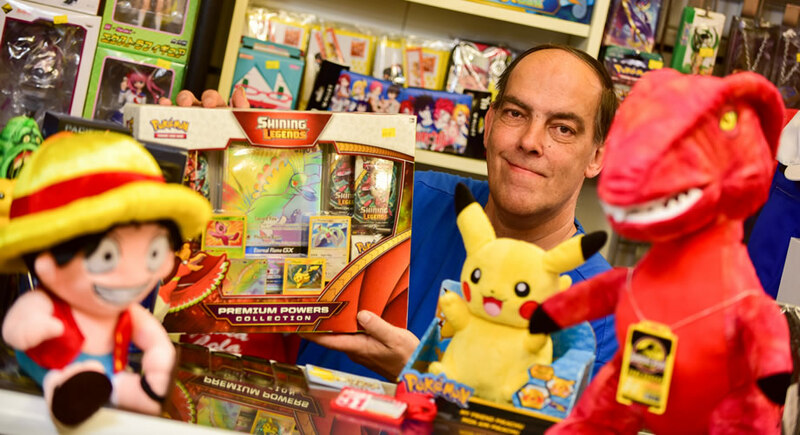 Clare has recently opened Planet Anime which brings Anime and Manga to Chester Market, also specialising in movie, TV, Anime collectable toys, figures, books and merchandise. The store is an absolute must for Anime, movie and telly addicts. What makes the store stand out is the unique and quirky merchandise on offer, with the fantastic array of Pokémon products which are more competitive to eBay, with a diverse range to appease all collectors. Planet Anime offer a customer loyalty scheme and student discount which make the offer more appealing. Offering next day delivery, nationwide and if we haven’t got what you are looking for, we will source products for you. Planet Anime is a collectables paradise!